Elana Hayden, the Site Director at B2R Port Washington, is a New York session singer, songwriter, jingle/voiceover artist and children’s book author. She studied Musical Theatre at Sarah Lawrence College and C. W. Post and has had the privilege of performing and/or recording with Bernard Purdie, Jon Herington, Shawn Pelton, Aaron Comess, Richie Cannata, Crispin Cioe, Mark Rivera, Harry Chapin, Patti LaBelle, Bob Hope, The Pointer Sisters, Willie Nelson, Boomer Esiason, and many others. She has written, recorded, produced and licensed numerous songs and jingles for TV, film and radio, including spots for Showtime, HBO, the NBA, WNBA, Maury Povich, The Montel Show, and others. In addition to touring the US and Europe as a lead and background vocalist for many bands and recording artists, Elana appeared in the National Touring Company of the show Beehive – The ‘60s Musical and New York productions of Gym, Carrie, Starmites and Goose. Her film and TV credits include 20th Century Fox’s Unfaithfully Yours, starring Nastasia Kinski, Armand Assante, and Dudley Moore, and the ABC-TV After School Special Over the Limit, which aired on network television in the U.S. 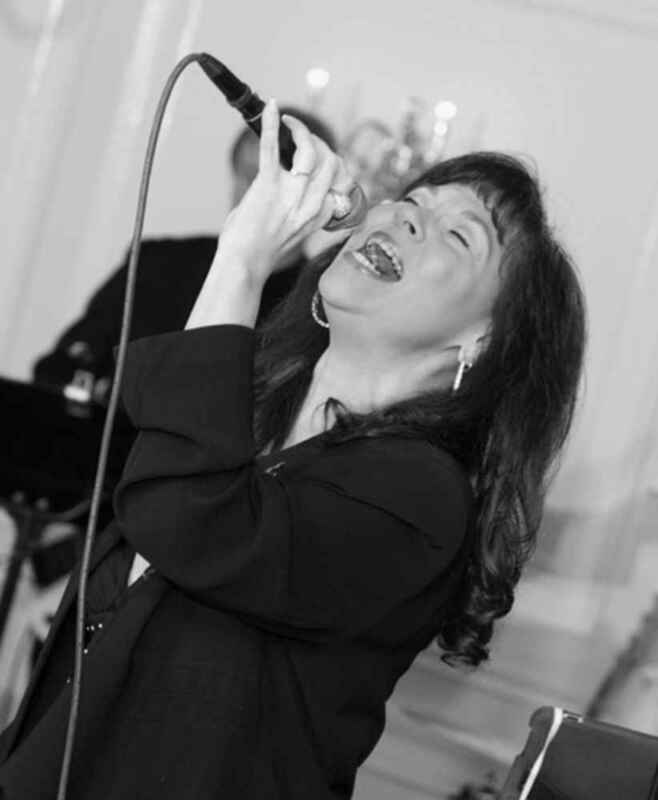 Currently, Elana enjoys singing with Songs In The Attic, a NY-based Billy Joel Tribute Band and was featured in Wendell Hanes' book, "Making 30 Grand in 30 Seconds! Vol. 4 - Singing on Major TV Commercials." Elana is recording her debut album and lives in Port Washington with her daughter, Julia. Kristine Renigen is the Assistant Director and has taught piano, voice and early childhood classes at B2R Port Washington. Having experience in film, television, ballroom dance and musical theater, Kristine has spent the past several years touring in musical theater productions, teaching music, stage managing, and singing with the Long Island cover band, Spectrum. She also enjoys playing classical piano (Rachmaninoff and Chopin) and loves to sing musical theater and pop/rock songs. Kristine is excited to step into her new role and we are thrilled to welcome her into this new position. Nicki Winzelberg is the Assistant Director and has taught piano, voice, trombone, trumpet, glee, and early childhood classes at B2R. A Wisconsin native, Nicki got her start in music at a very early age through classical piano training, children’s choirs, and jazz bands. After completing coursework in education and application at both NYU and University of Wisconsin, Nicki decided to put down roots on Long Island and pursue music. In addition to teaching at multiple schools and institutions, Nicki is also an avid dancer and actress. She has been featured in countless theatrical productions and performed with jazz vocalists Kurt Elling and the iconic Bobby McFerrin. Having vast musical tastes, her influences range from Mozart to Muse to Metallica, and many more. She also plays with her own band Disco Vietnam, and records original songs from time to time. Stop in and say hi today! Aaron A. is a drum and percussion specialist at B2R Port Washington. He studied at the Crane School of Music where he received his Bachelor’s degree in Music Education. There he studied percussion with distinguished Professor James Petercsak and Sabian and Innovative Percussion artist, Catherine Meunier. Aaron has performed in masterclasses with the world-renowned percussion group Nexus, The Black Earth Percussion Group, composer/percussionist Michael Burrit, Branford Marsalis and Latin percussion giants Jose Madera and Johnny Rodriguez (Tito Puente). 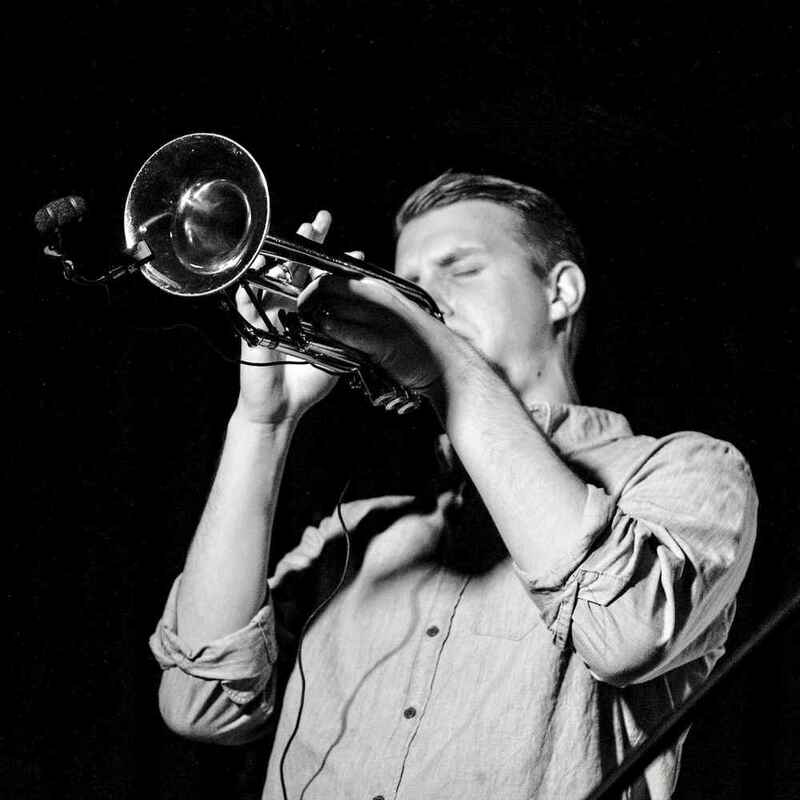 Aaron has performed in the select Giroux Honors Jazz Combo at the Crane School of Music. We are happy to have him join the Bach To Rock team! Artem K. is an accomplished musician who teaches and performs on clarinet, saxophone, and piano. Artem was born and raised in Ukraine, where he studied music at the Kiev Special Music School for gifted kids named after N.V. Lysenko. He has numerous music awards and has participated in concert tours throughout Germany. 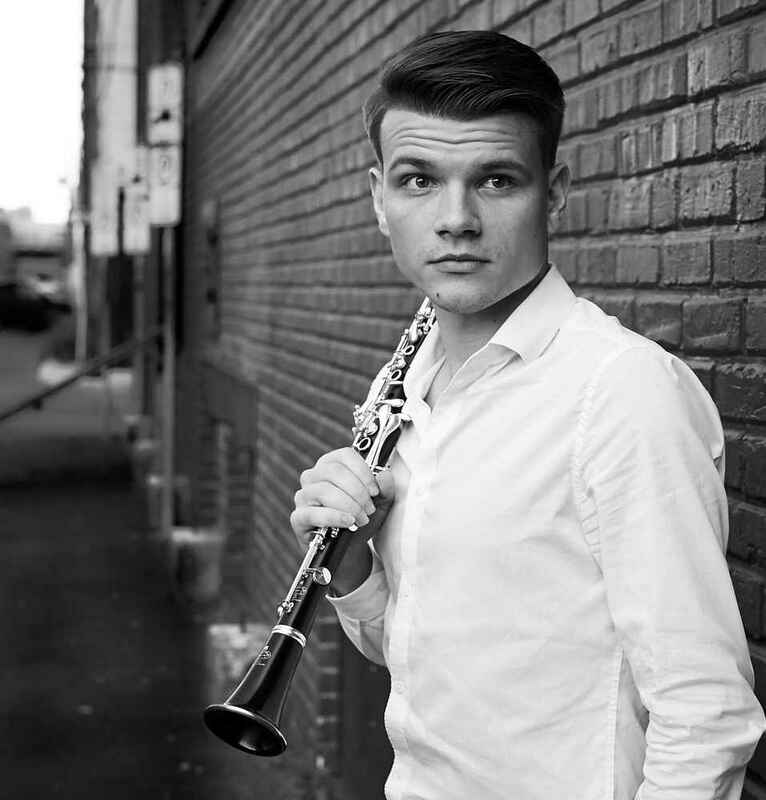 Artem holds a Bachelor’s Degree in Music Performance and is currently working on his Master’s Degree at New York University, where he masters his clarinet skills with a second clarinetist of New York Philharmonic - Pavel Vinnitsky. Artem studied and participated in master classes with many great musicians such as James Shields, Frank Kowalsky, Rolf Weber, Barbara Heilmair, Hedwig Swimberghe, Frank Kowalsky and Yuri Vasilevich. We are so happy to welcome him to the B2R team! Ben N. is a voice and guitar instructor at B2R who specializes in adaptive music lessons. Originally from southern Vermont, Ben fell in love with classical performance, ensemble singing, songwriting, and musical theater at a young age. As a therapeutic music practitioner, he has worked with children and adults, helping students of all ages find their voice. 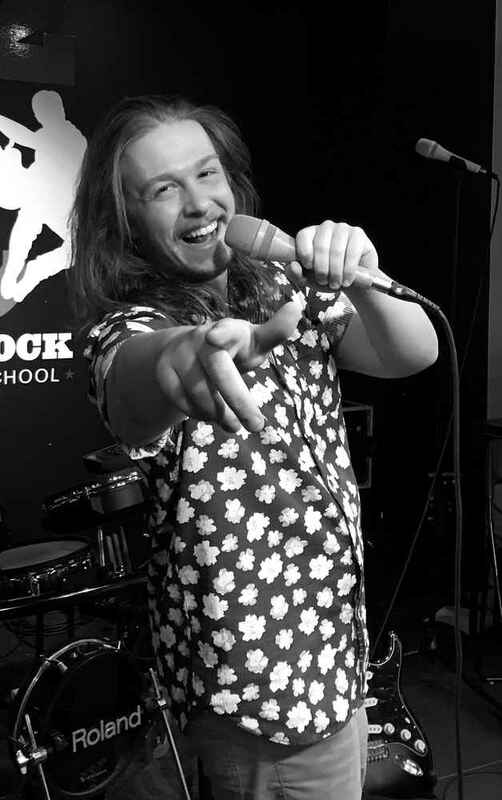 Recently having received a Bachelor of Science degree in Music with a concentration in Music Therapy from Molloy College, Ben has had the opportunity to work in a wide variety of educational settings. Since graduating, he has also had the pleasure of performing with the Weston Opera company, as well as several community and collegiate theater groups where he performed in various roles, including “Inspectors Javert” in Les Miserables, “Benny” in Rent, and both “Dr. Scott” and “Eddie” in The Rocky Horror Picture Show. In his spare time, Ben enjoys songwriting, dabbling with as many instruments as he can get his hands on, and hiking. He is beyond excited to be working alongside the marvelous musicians at B2R Port Washington and even more thrilled to be working with the students, helping them make music and memories! Daniele G. is a saxophone and piano specialist at B2R. He graduated from the Conservatory of Licino Refice in Frosinone (Italy) and earned a bachelor degree in music performance at the prestigious Berklee College of Music in Boston. During his time in the United States he has studied and collaborated with many great musicians such as Danilo Perez, Joe Lovano, Dave Douglas, John Patitucci, Ben Street, Terry Lyne Carrington, Kenny Werner, Bob Moses, Dave Kikoski, and George Garzone. He has also traveled and performed in famous jazz festivals and clubs around United States, South America and Europe. Daniele currently resides in Brooklyn where he is actively involved in numerous musical projects. His most recent work includes and an album traversing the boundaries of modern and free jazz, created in collaboration with pianist Leo Genovese. We are very happy to welcome Daniele to the Bach To Rock team. 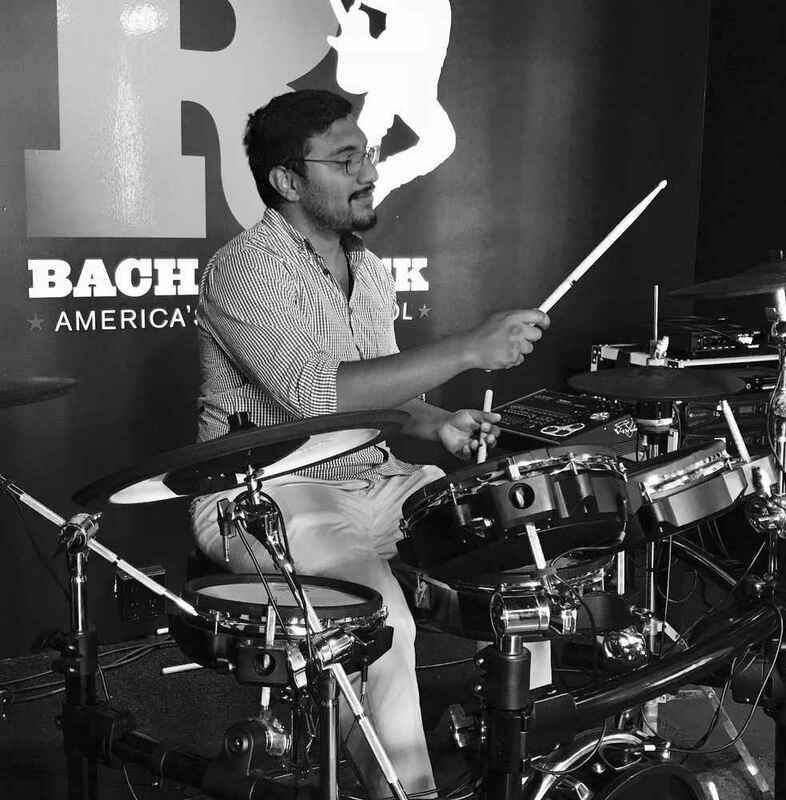 Fabio R. is a drum and percussion instructor at Bach To Rock and is originally from Valencia, Venezuela. Since arriving in the U.S., Fabio has performed with artists such as Geri Allen, Greg Osby, Bill Pierce, Sean Jones, Kevin Harris, Pepe de Lucia, John Lockwood, Carlos Averhoff Jr., Manuel Valera and has performed at Boston Symphony Hall, Lincoln Center, The Esplanade, Scullers Jazz Club, Smoke Jazz Club, SXSW, among others. A drummer and film composer, Fabio earned his Bachelor of Music with a Dual Major in Performance and Professional Music at the prestigious Berklee College of Music in Boston, where he had the honor of being mentored by Terri Lyne Carrington, Kim Plainfield and Neal Smith. 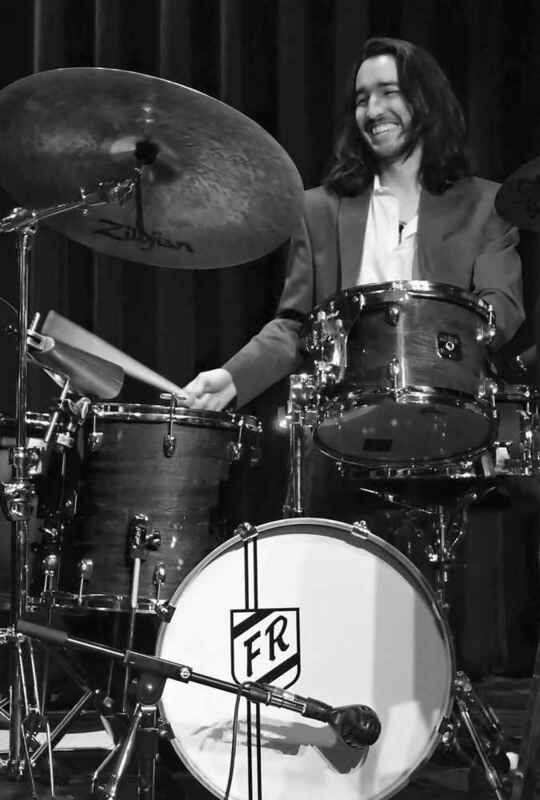 Before moving to the New York, Fabio studied jazz performance in UNEARTE while giving drum set lessons in the Taller de Jazz Caracas and Concert Percussion in the Colegio/Conservatorio Emil Friedman. He has also had the privilege of working with acclaimed Venezuelan musicians Pablo Gil, Diego Alvarez and Gonzalo Teppa. Through music you can express greater emotions, ones that you cannot define with words. As an artist, this is what Fabio strives for and continues to do through his work. We are thrilled to have him on the B2R Port Washington team. 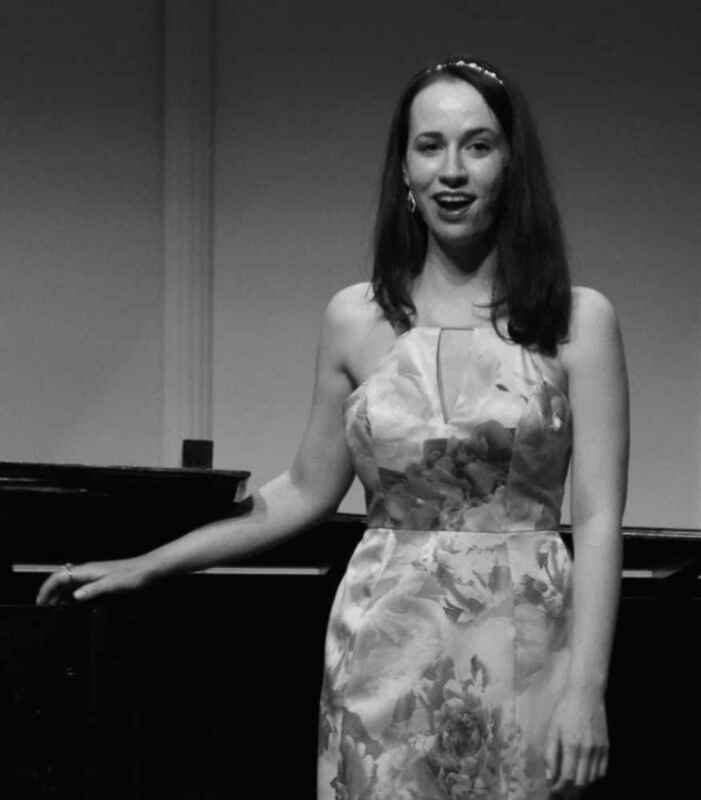 Hannah M. is a voice and piano instructor at B2R. Originally from South Carolina, she is a graduate of the inaugural class of the Molloy College and CAP 21 B.F.A. musical theatre program. She has appeared in numerous concerts at The Town Hall, Feinstein’s 54 Below and The Madison Theatre alongside such Broadway legends as Howard McGillin (The Phantom of the Opera), Tony Danza (Honeymoon in Vegas), Robert Cuccioli (Jekyll and Hyde), Cady Huffman (The Producers), and Annie Golden (Hair). Hannah made her Off-Broadway debut as the title character in Vital Theatre Company’s Angelina Ballerina the Musical and as Elizabeth Lavenza in Write Act Repertory’s Frankenstein. She has appeared in numerous productions at regional and community theaters in New York, New Jersey and South Carolina. Favorite roles include: Carrie (Carrie the Musical), Elle Woods (Legally Blonde), Jack (Into the Woods), Rusty (Footloose), and The Leading Player (Pippin). In addition to her work onstage, Hannah has also served as the musical director/accompanist for The Broadway Bound Vista Theatre Project, Mile Square Theatre, The Madison Theatre, and Molloy Performing Arts Club. We are thrilled to welcome Hannah to the B2R Port team! Jackie B. is a voice, piano, violin and early childhood specialist at B2R Port Washington. She was born and raised on Long Island, where she began her musical journey. Jackie has had the pleasure of performing with several critically acclaimed conductors and musicians including David Fryling, David Ramael, Isabel Milenski, Lauren Kinhan, Kerry Marsh and more. She graduated with her Bachelor of Sciences in Vocal Performance from Hofstra University, concentrating on classical technique and musical theatre. At Hofstra, she was also the President and arranger of the a cappella group The Hofbeats, played in the Chamber Orchestra, and toured the country with the Chamber Choir. Jackie made her Off-Broadway debut in “Jekyll & Hyde” in NYC, performed in the US Premiere of Dargomyzhsky’s “Rusalka”, and starred in the premieres of several original musicals. 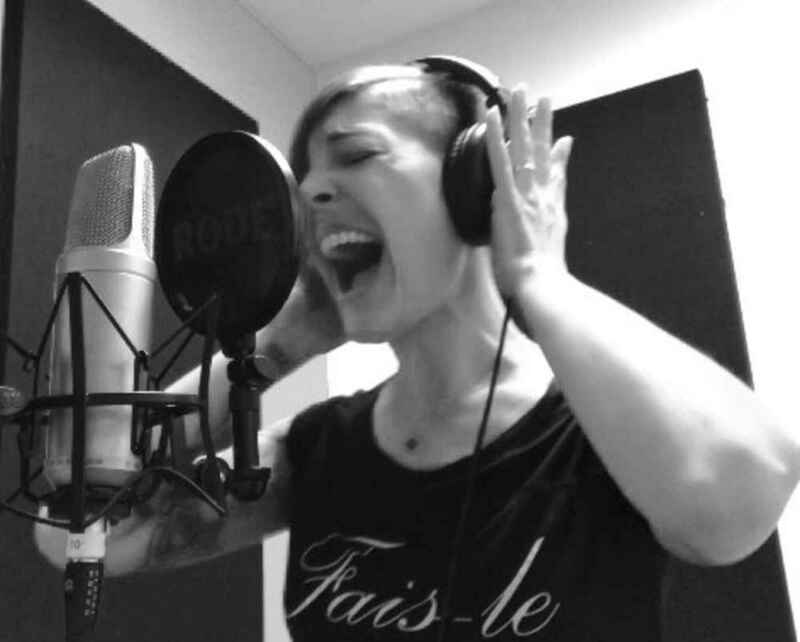 She is currently a member of multiple theater and opera companies, sings in the nationally recognized mixed and women’s choirs of eVoco Voice Collective and performs with her cover band The Escape. She is beyond happy to share her passion for music and teaching at B2R, and guide her students to achieving their goals and dreams in music and performance - and have fun doing it! JD R. is a guitar and bass instructor at B2R. 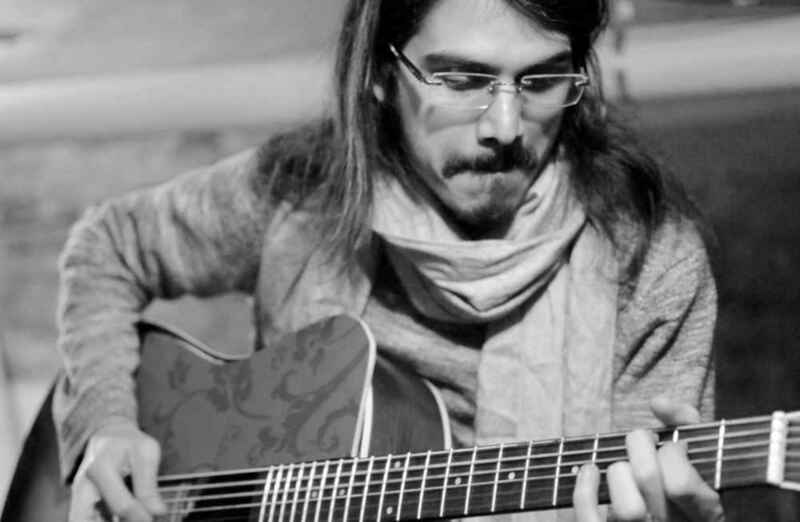 A New York based guitarist and composer, he hails from New Delhi, India, and is a graduate of The Berklee College of Music, where he majored in Contemporary Writing and Production. JD has been playing professionally for over eight years and has been a touring member of two bands, Grammy Winning Effort and Indigo Children. His father, a guitarist introduced him to many iconic bands including The Beatles, The Grateful Dead, Fleetwood Mac and Jimi Hendrix, to name a few. From artists like Shakti, Radiohead and Herbie Hancock to composers like John Williams and Hanz Zimmer, JD loves all genres of music and is excited to share this love of music with the students at Bach To Rock. We are happy to welcome JD to B2R Port Washington. Marc P. is a guitar specialist at B2R Port Washington. 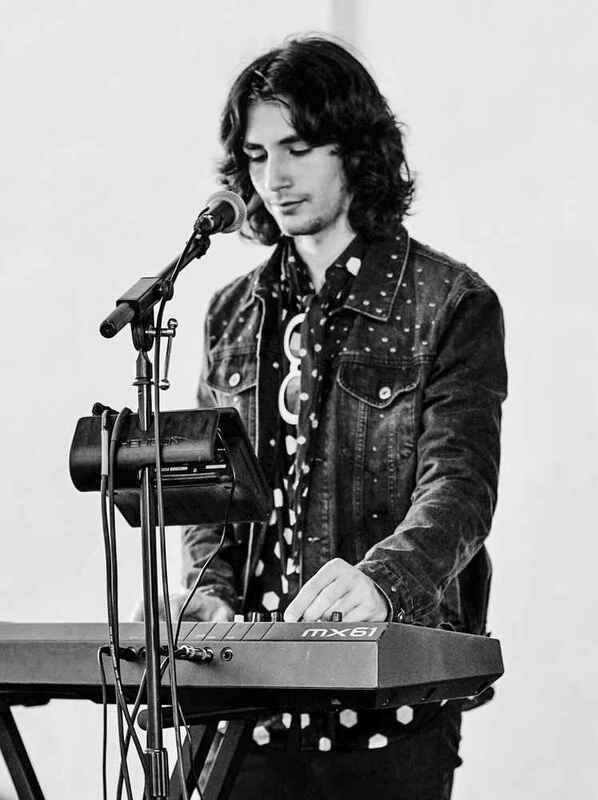 A New York native and lifelong musician/music fan, Marc attended Five Towns College for Jazz and Commercial Music, majoring in Guitar Performance. Marc has played guitar and sung in countless ensembles, performing a broad range of styles and genres in and out of the country. 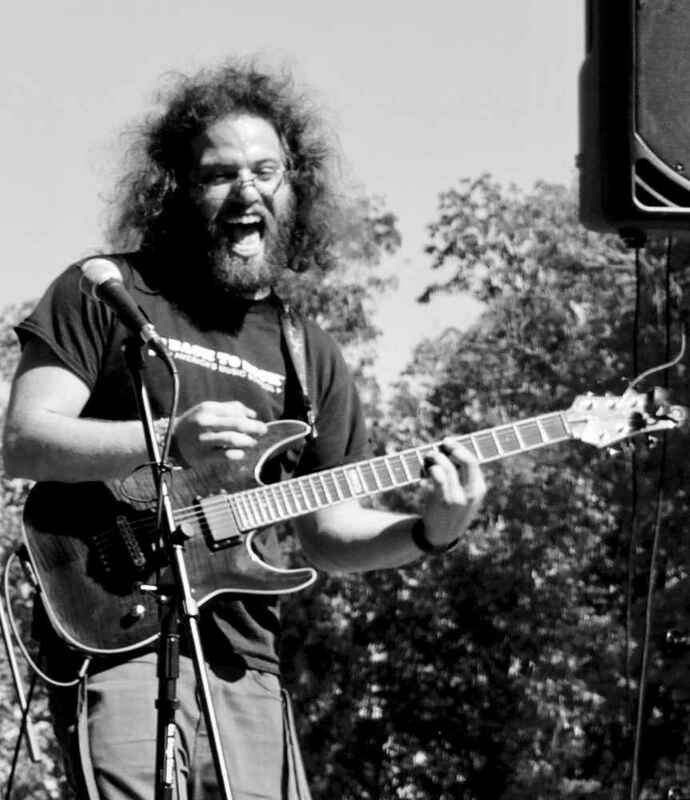 Growing up on classic rock, Marc’s band experience encompasses such diverse styles as Rock, Funk, Folk, Fusion, Jamband, Reggae, Ska, World, Afrobeat, New Orleans, Blues, Americana, Electronica, Heavy Metal, Bluegrass, Singer-Songwriter, Alt Country, Progressive Rock, and “anything that’s fun & musical”! A music teacher for over 25 years, Marc assesses where students are developmentally, and guides them to where they need to go musically using intuition, passion and humor. Most importantly, Marc encourages love and appreciation for music in all of his students. Mike L. is a bass, guitar, fretted instrument and recording studio specialist at B2R Port Washington. 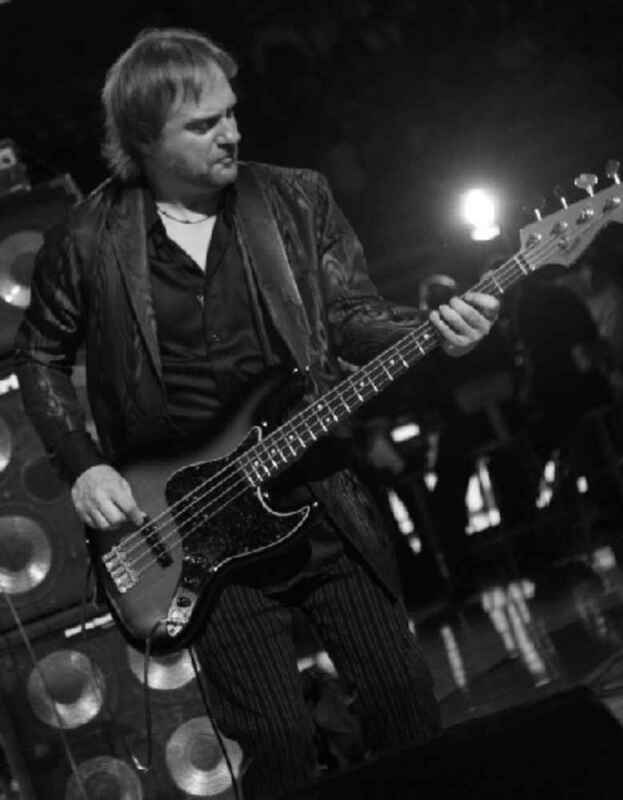 He received his degree in Electric Bass Performance from Berklee College of Music and after touring with several national bands, moved to New York City as a working professional musician and songwriter. He has appeared and/or recorded with Carole King, Joan Osborne, Rufus Wainwright, Rick Derringer, Tom Dowd, Steven Stills and Mick Jones, Eddie Van Halen, the Gypsy Kings, Meryl Streep, Peter Yarrow (of Peter, Paul and Mary), Paul Hipp, Max Weinberg and the Uptown Horns, Hunter S. Thompson, and many others. He also appeared in the hit, off-broadway productions of "Love Janis" and "My Boyfriend Is a Zombie." Mike is a founding member of Citizens of Contrary Knowledge. Their songs "You're What you Wish You Are..." and "Contrary Radio" are played on hundreds of independent and college radio stations in the USA and in South America. The band also had songs featured on Nickelodeon's "Zoey 101" and "Drake and Josh". Mike's own song "House of Cards" was licensed by Showtime's acclaimed show, "The Tudors" Additionally, his music has been played on National TV commercials for Taco Bell, Applebee's, Pepsi, General Motors, American Express, and even featured in the movie soundtrack for the movie "I am Sam." Mike brings a wealth of experience and robust musical knowledge into his classroom. We are proud to have him on the the team at B2R Port Washington! Pamela K. is a piano, violin, viola, and cello specialist at B2R. An artist and composer, she received her first Bachelor’s degree in Illustration Fine Arts from Savannah College of Art and Design, and her second one in Music Theory and Composition from Berklee College of Music. 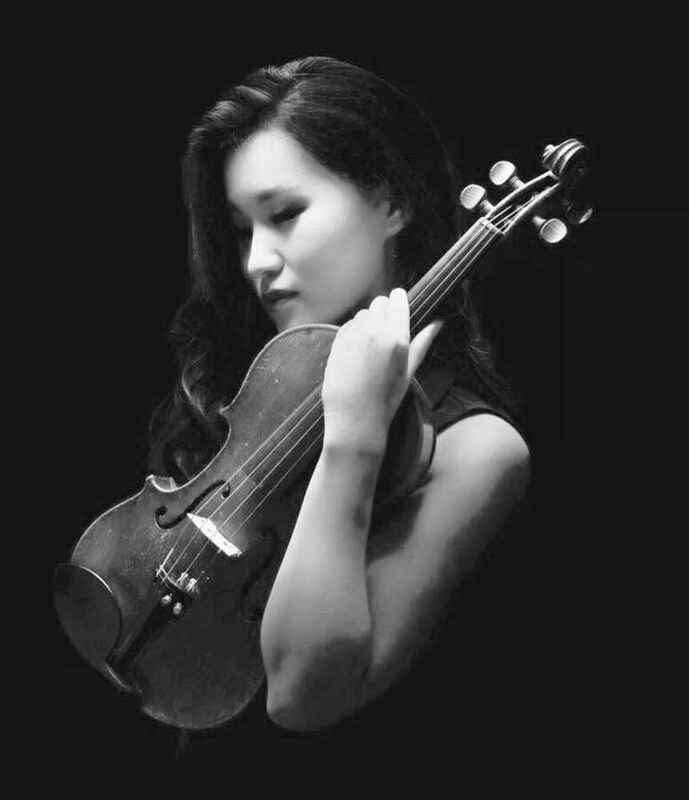 Originally from Jakarta, Indonesia, Pam started her musical career at a young age playing violin for Amadeus Orchestra which tour cities in South-East Asia to work with international conductors such as Phillip Green, Aminoto Kosin, Cecilia Barczyk, Prof. Christiane Hutcap, Pierre Oser, Jahja Ling, Gudni Emilsson, and David Riniker of Berlin Philharmonic. As she studied Fine Arts in the US, she started her musical theater career working as Assistant Music Director and Concert Master for various Broadway productions such as Titanic, Houdini, Into the Woods, Spring Awakening, Ragtime, among others. She has also written music for award winning feature films including 'Waiting in Line' by Joseph Brennan, 'The Big One' by Raibar Chener, and 'Inky Fingers', an animation by Vee Eaton which was hosted by 26 international film festivals worldwide such as Tribeca and Sundance. Attending Berklee, she switched her focus from performing to composing. Pamela has written music for small ensembles, chamber ensembles, musicals and full orchestras which has been performed internationally in various venues in New York, Boston, the Netherlands, Luxembourg, and Indonesia. We are thrilled to welcome Pamela back to Bach To Rock Port Washington. Rich K. is a Drum / Hand Percussion, Music Production / Engineering and Rock Band instructor at B2R. Starting formal lessons at the age of 9, he progressed to earning First Chair Percussion in County and All State Bands in High School. Rich toured with Jazz/Funk/Rock Fusion Band Whyte Lyte, and attended Berklee College of Music, earning his Bachelor’s Degree in Music Synthesis. While at Berklee, he was awarded The Berklee Performance Division Achievement Award in recognition of outstanding musicianship. 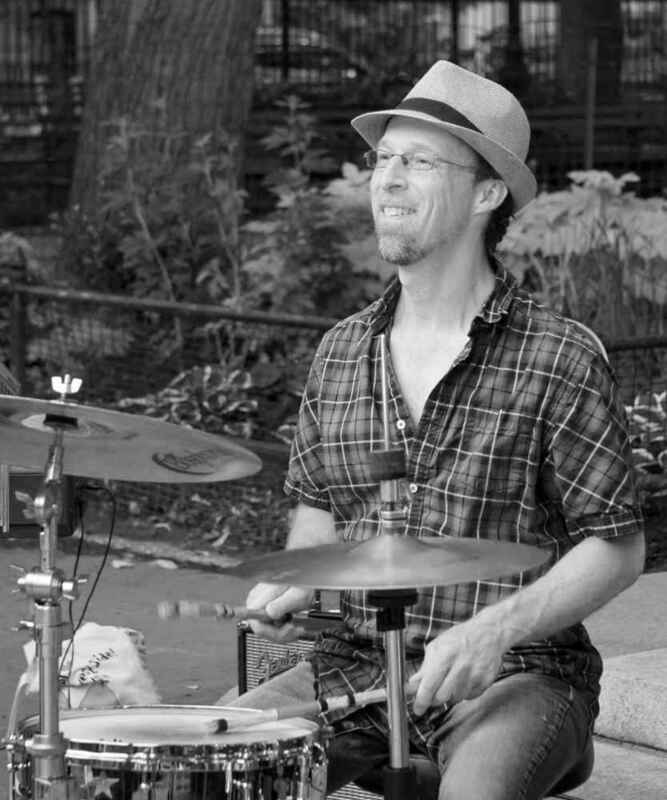 Since settling in NYC, Rich has worked with many artists, including The Zen Tricksters, Mickey Dolenz (The Monkees) Norah Jones, Bruce Cockburn, The Fire Men, Gavin DeGraw, Denise Barbarita, and Roger Waters (Pink Floyd), to name a few. Proficient in many styles of drumming, he enjoys teaching drummers how to find the right part, the right groove - and how to record a drum set. His teachers and mentors have been many, including Vincent “Muzzy” Mizzoni, Gary Chester, Gary Chaffee, Bob Moses, Alan Hall and Ed Uribe. As a composer, Rich has written and produced music for his own projects and for Heavy Hitters Music which licenses for Film and T.V. We are thrilled to have Rich join our B2R Port Washington family! Sam B. is a piano and voice instructor at B2R. A keyboardist, songwriter/producer and composer, he has toured and performed with many bands and solo artists. He has had the pleasure of playing at the GroundUP Music Festival, Okeechobee Music Festival, SoFar Sounds, WLRN Radio, and the Adrienne Arsht Center, performing with Il Volo, Michael McDonald, GRiZ, Eric Krasno, members of Snarky Puppy and Vulfpeck, Gallant, Lawrence, Becca Stevens, and Darmon Meader. You can also find Sam’s music on Spotify, iTunes, Soundcloud, and YouTube. Recently, Sam worked for a composer in LA, writing music for Cartoon Network’s Lego Ninjago: Masters of Spinjitzu, Dreamworks’ Harvey Street Kids, films Hope Spring Eternal and Calvinist, and composed the score for “Retro Couture,” which screened in Miami, Panama, and Brussels. He has taught private lessons and music theory classes and is well-versed in contemporary, classical, and jazz idioms. Sam has perfect pitch and is also proficient in music production and recording. We are very happy to Welcome him to the Bach to Rock team. 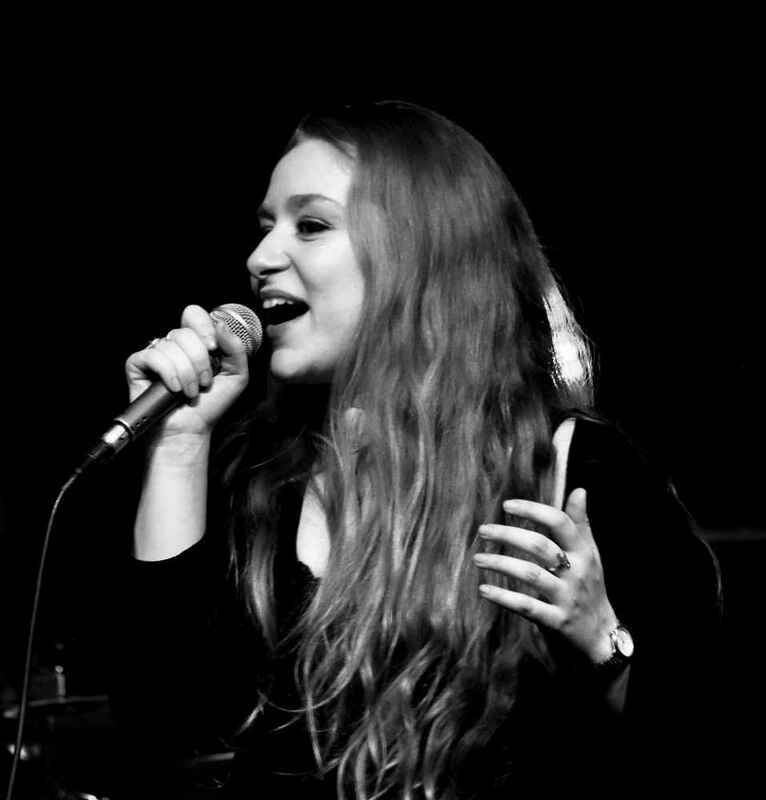 Samantha K. is a voice and piano teacher at Bach to Rock. She holds a Bachelor of Fine Arts in Vocal Performance from Carnegie Mellon University, where she received College and University Honors, as well as the Derdeyn Award for Excellence in Performance. 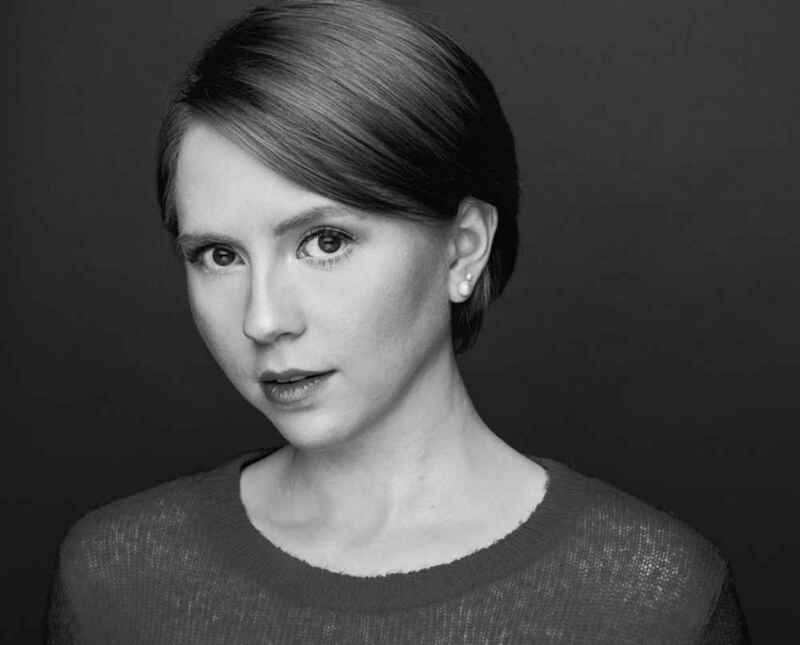 Equally comfortable in musical theater and opera, she’s sung roles with Opera Theater of Pittsburgh, Undercroft Opera, Carnegie Mellon University, and the College Light Opera Company, among others. She additionally had the privilege of performing German lieder in Graz, Austria with the American Institute of Musical Studies and studying drama with the Yale Summer Conservatory for Actors in New Haven, Connecticut. She is thrilled to bring her passion for teaching music out to Long Island, where she did her first musical at ten years old! 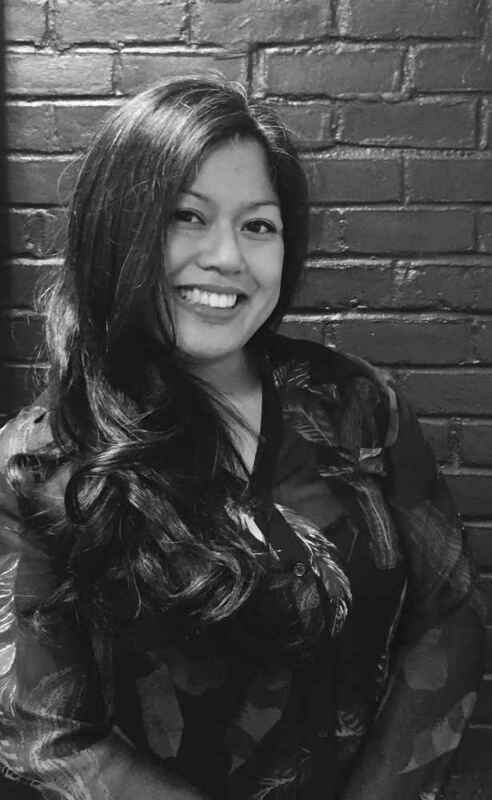 Samantha currently resides in Queens, NY and devotes her time to performing, teaching, and studying music. We are very happy to welcome Samantha to the B2R Port Washington team! Sara O. is an Ecuadorian-American singer-songwriter based in New York who specializes in guitar, piano and voice at Bach To Rock. She discovered her passion for music at a young age when she began to take private piano lessons and joined the school's choir. As a teenager, she moved from Florida to Ecuador where she studied classical music in the conservatories, and later worked as a jazz singer with many bands in Guayaquil. Sara's love for music led her in Berklee College of Music where she majored in Contemporary Writing and Production and she graduated with honors and scholarship awards. Since 2015, Sara has been releasing original music that has been positively reviewed by journals in The US, Ecuador and Spain. 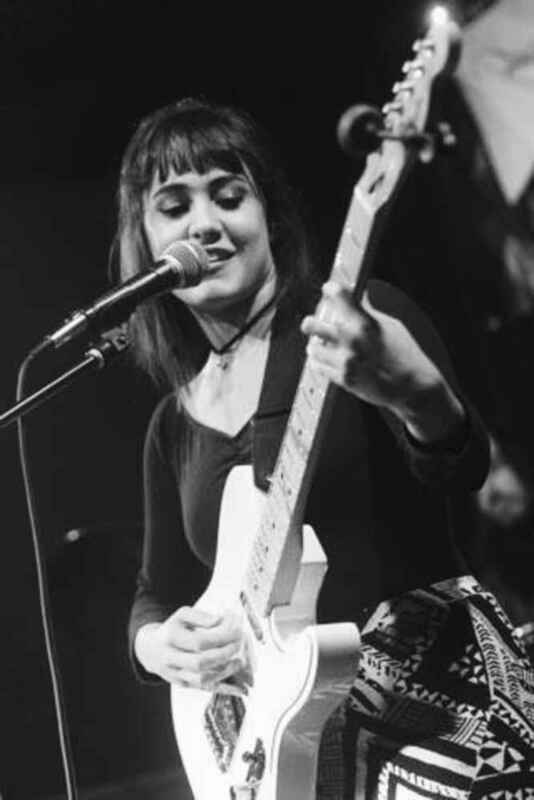 Her music has led her to play in many venues in New York City as well as festivals like SXSW, South Florida Folk Festival and Musikfest, to name a few. We are excited to welcome Sara to the B2R Port Washington team! Sean H. is a voice specialist, multi-instrumentalist, and studio engineer at B2R. Growing up in the world of musical theatre, Sean has performed with several nationally acclaimed theatre companies including Theatre Under The Stars in his hometown of Houston, TX. 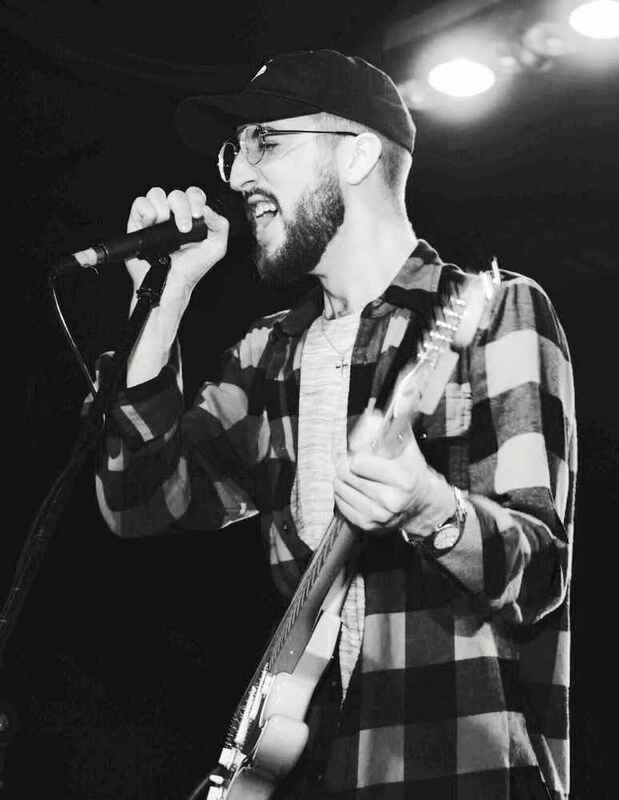 He studied Musical Theatre and Composition at the Baldwin Wallace Conservatory of Music and is currently the front man and guitarist for the band XXI Hours, who has performed at various venues across the country, including Vans Warped Tour and other music festivals. Sean has also played in multiple regional theatre pit orchestras for stage productions of Legally Blonde and High School Musical, among others. He has several years of in-studio audio production and live sound experience and has worked as an audio engineer at West Side Recording Studio, where he produced content for MTV and CMT. We are delighted to have Sean on the B2R Port Washington team. Sergej A. is a saxophone, flute, and piano instructor at B2R. 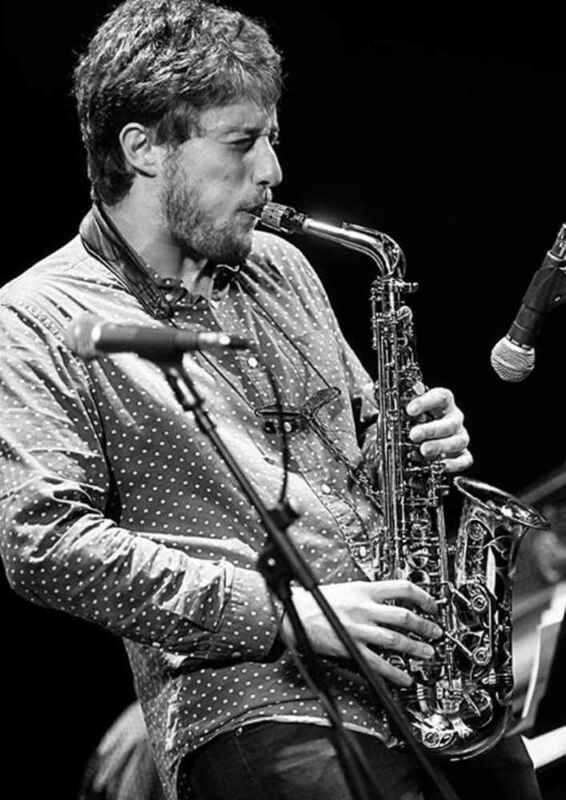 Born in Russia, Sergej began playing the saxophone at age 9 and was influenced by many great musicians like John Coltrane, Joshua Redman, Dexter Gordon and Keith Jarrett among others. At the age of 17, Sergej had the opportunity to study abroad at the Prince Clause Conservatoire in the Netherlands. While there, he had the privilege of studying and performing with numerous renowned musicians including Don Braden, Miguel Martinez, Alex Sipiagin, Robin Eubanks, David Berkman, Gene Jakson, John Clayton, and the Symphonic Jazz Orchestra. Shortly thereafter, Sergej formed a quartet that recorded and performed original music in Sicily, Italy. He has also recorded with EF Orchestra, Adedeji Adetyo, Stage Band, and Want2swing big band. Now living in NYC, Sergej performs with many bands, often in different countries and festivals including the Idstein jazz festival in Germany, Mechelen, Belgium, Rostov-on-Don Jazz festival in Russia, Bimhuis in Amsterdam, Amphion jazz fest, Doetinchem, Netherlands. He has toured Korea as a guest artist, toured Sicily with the Giacomo Caruso Quartet, and Estonia with the Holger Marjamaa quartet. Most recently, Sergej released his debut album, "Secret Language." He loves teaching students of all ages and enjoys helping them reach their goals and we are proud to add him to the B2R Port Washington team. Steven H. is a multi-instrumental brass and woodwind specialist at Bach To Rock. He also plays piano, accordion, bass, guitar, ukulele, and sitar. Originally from Phoenix, Arizona, Steven moved to NYC to study trumpet and tuba performance at New York University, where he would eventually continue on to earn his Master’s degree in music education. He has studied under great musicians like John Rojak, Marcus Rojas, and Ladislav Kozderka. 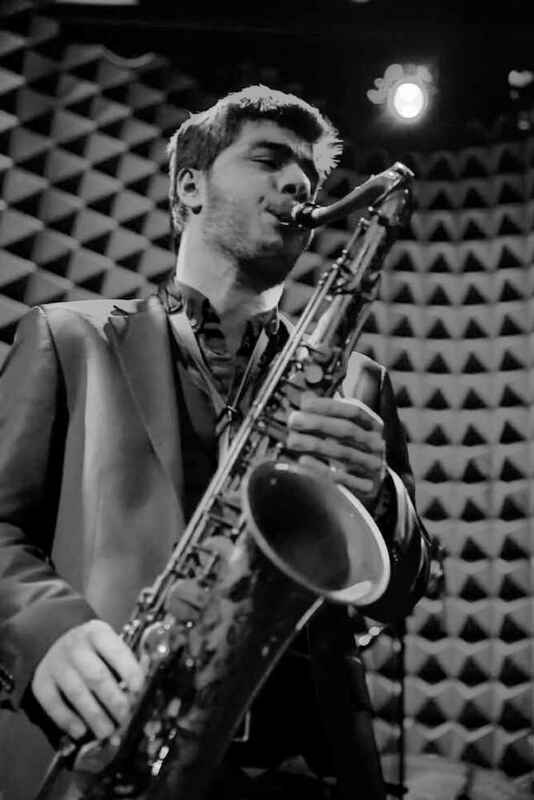 While learning at NYU, he quickly built a network in the city and began performing regularly in jazz, pop, rock, new music, pit orchestra, and classical music settings. Today you’ll find him most often collaborating with songwriters and bands to compose, arrange, and record horn section parts for up and coming records. Steven has recorded and performed in venues like the James L. Dolan recording studio, Symphony Space, Webster Hall, the Knitting Factory, Skirball Center, Ikeda Theater, and most recently Oscilloscope Laboratories (built by Adam Yauch of the Beastie Boys). He hopes to impart the joy of making and sharing music to all of his B2R students in order to encourage a lifelong relationship with their instrument. Victor M. is a bass, guitar and piano instructor at B2R. 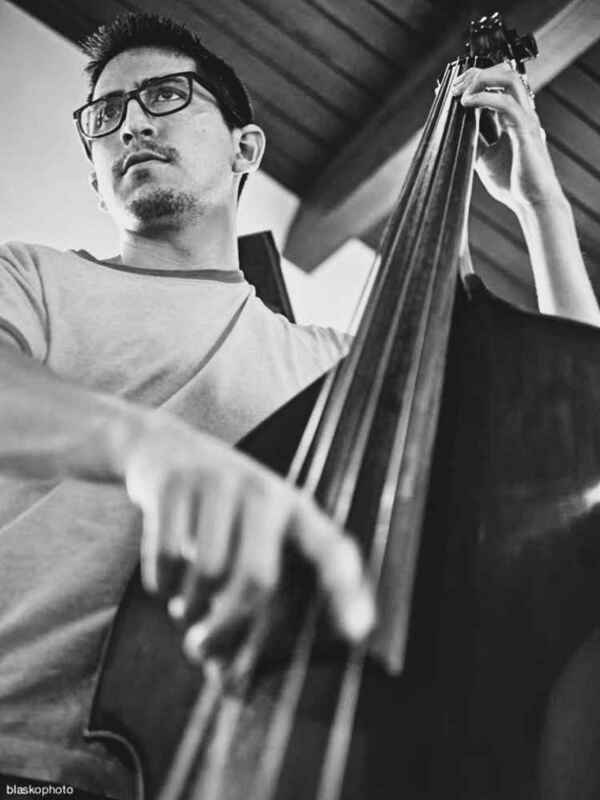 A well respected bassist, film composer, arranger, and educator, Victor currently resides in New York City, where he is actively involved in numerous musical projects. After graduating from Berklee College of Music, Victor moved to The Big Apple to get his Master's degree at Aaron Copland School of Music. His versatility, dedication and commitment to provide a good product keeps him in an demand musician - working and gigging in the USA and abroad. Recently, Victor performed at Carnegie Hall and has performed with numerous artists including Paquito D'Rivera, Wynton Marsalis, Luis Conte, Luis Enrique, Roberto Vilera, Terence Blanchard, Plas Johnson, Bob Mintzer, Antonio Arnedo, Ali Jackson, Dan Nimmer, among others. We are proud to have Victor on the B2R Port Washington team.